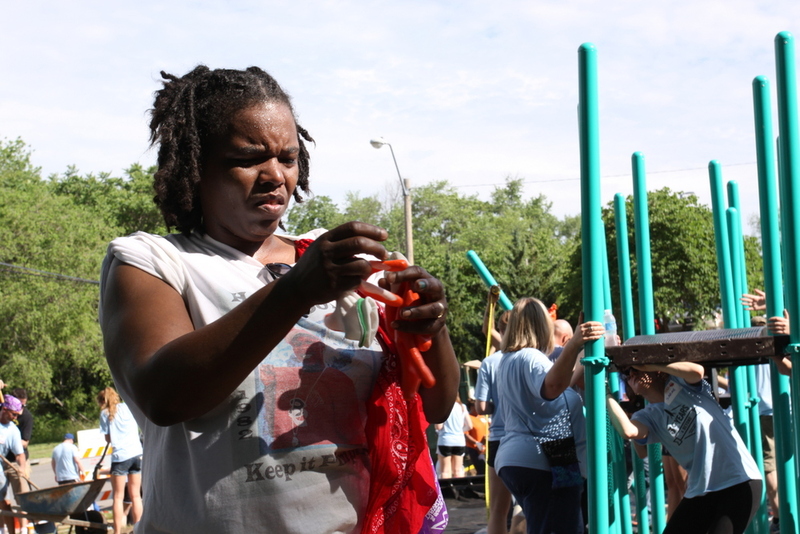 A brand new playground was built on the campus of Genesis Promise Academy through the support of Kaboom! 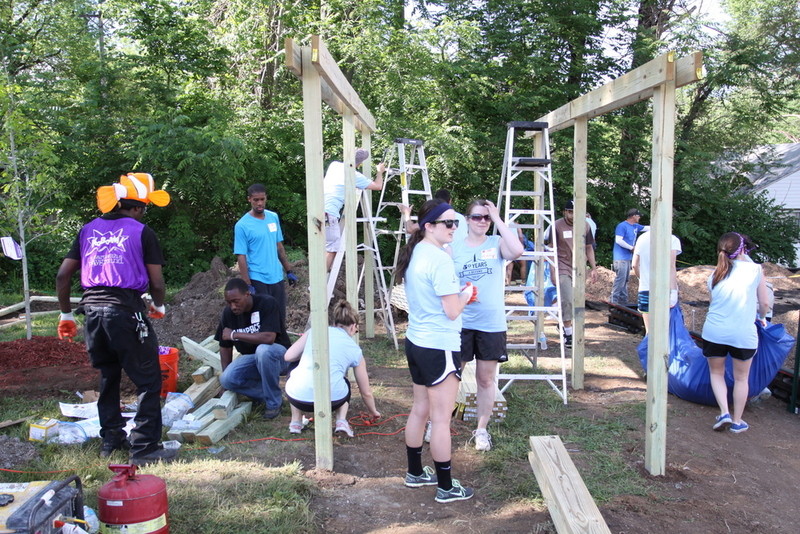 - a national non-profit that helps building playgrounds in areas of need. Several months of planning proceed the one-day "community build" which took place on Friday, May 30th at the school located at 3800 East 44th St. Kansas City, Mo. 64130. 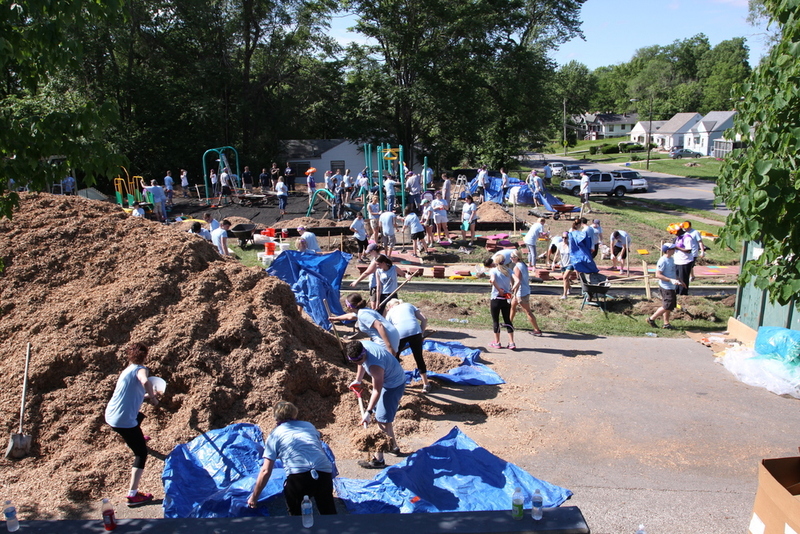 The project received extensive support from community groups and organizations that turned out to help construct the new playground on the Genesis schoolyard. KaBOOM! is dedicated to saving play for America's children by creating great playspaces through the participation and leadership of communities. 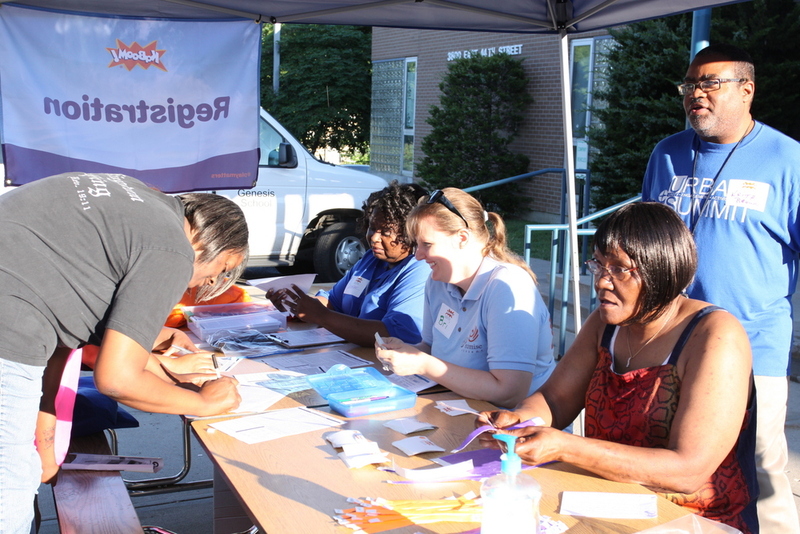 Their goal is to have a place to play within walking distance of every child in America. LINC helped support the project. Genesis is one of two charter schools that are also LINC Caring Communities sites. Charter Schools Genesis Promise Academy Kaboom!